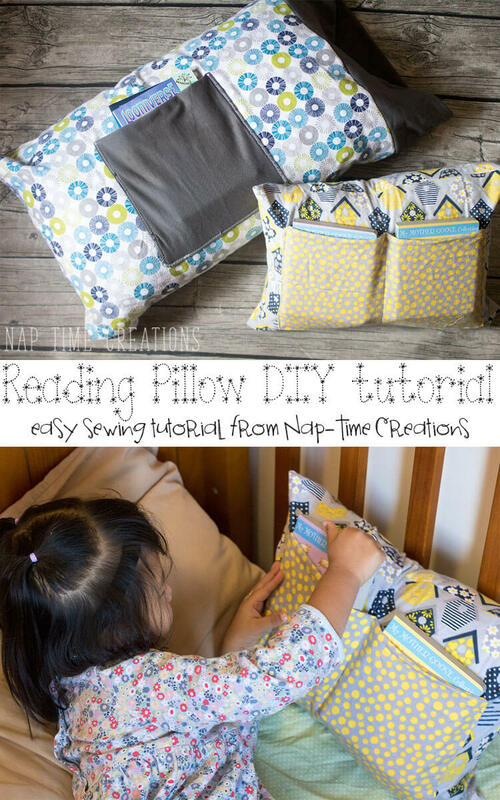 Cold winter days are perfect for curling up in bed with a good book and today’s DIY reading pillow makes that fun and easy. 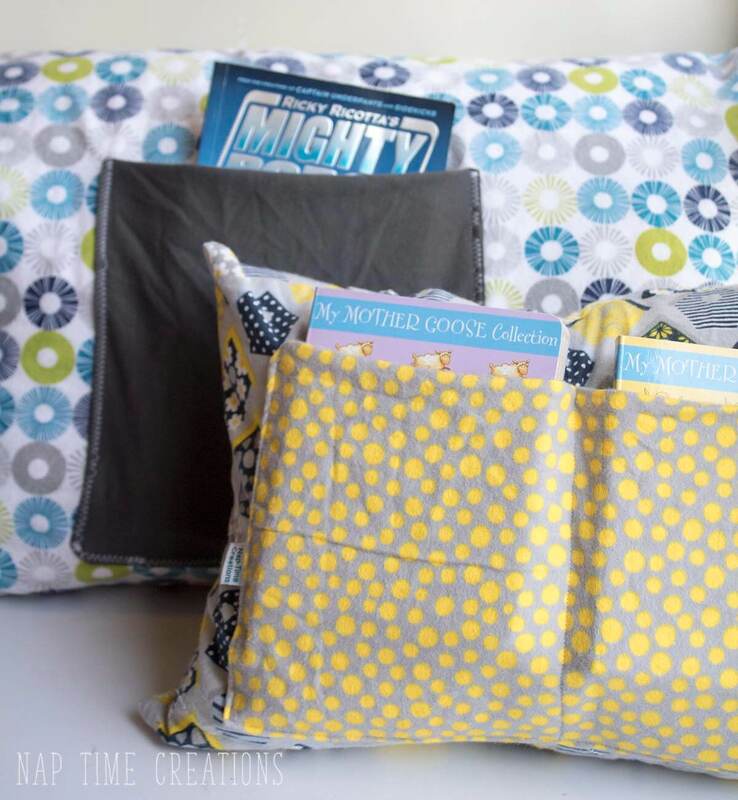 All my kids love reading/looking at books in bed, so I made a couple of reading pillows so they can keep their books close. 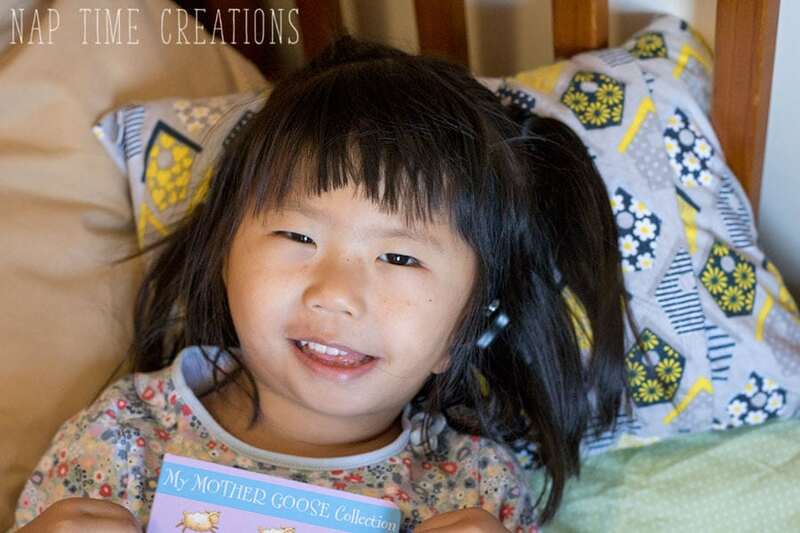 Today I’m sharing this easy sewing tutorial and a way that you can help support literacy for all kids! Reading has been such a big part of my life, I want to help others have the same love of books and reading. 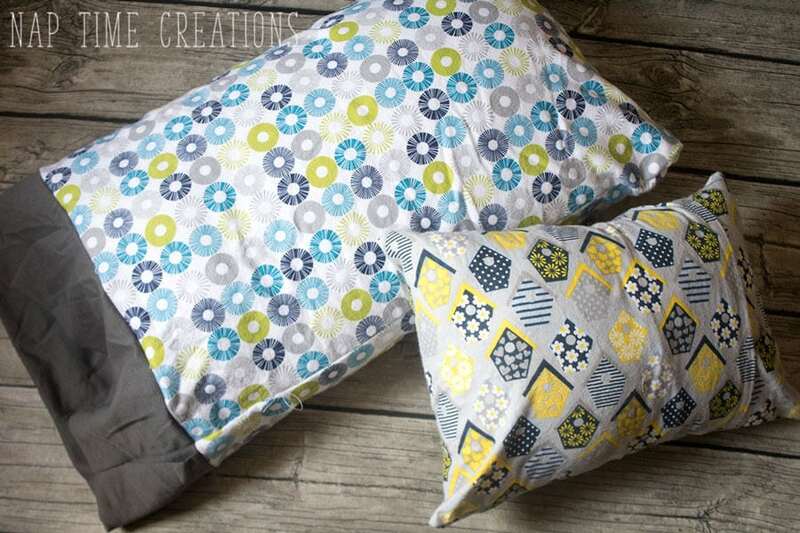 Okay, let’s make some fun DIY reading pillows. My daughter loves hers!! 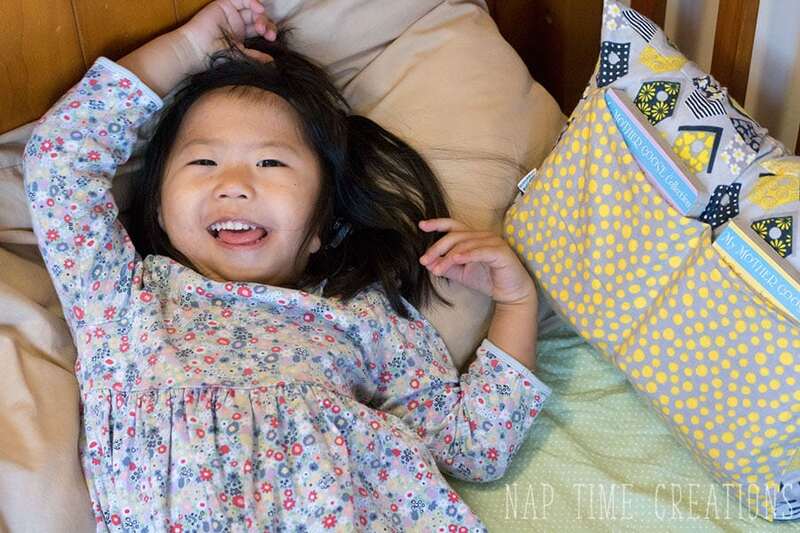 She’s at that stage where sometimes she doesn’t want to nap…. so… now she just looks at books if she’s not tired and can still enjoy some quiet time. You can also flip the reading pillow over and use it like a normal pillow. 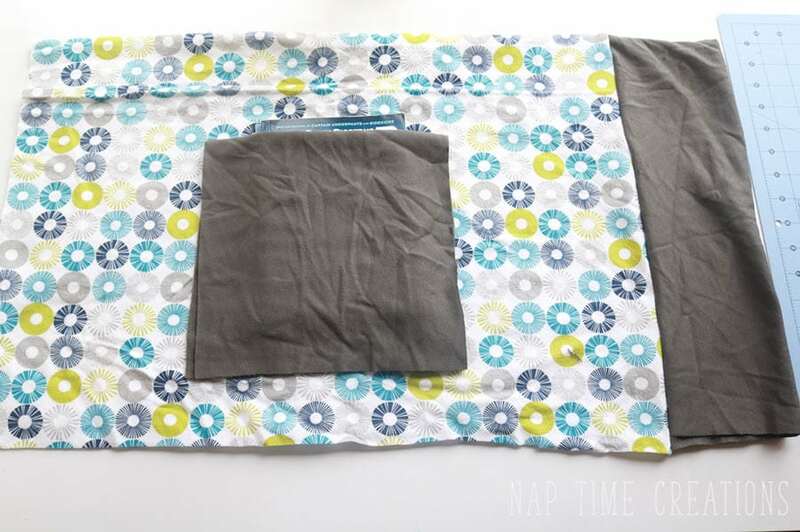 I made a regular size pillow case with pocket for my oldest son and then the smaller one for Rose. Flannel pieces pig enough to wrap around your pillow and and idea of the books you want to use… this will give you the pocket size. Okay, so start with a basic pillow case shape. Don’t sew up the end or side yet. Measure the size of the pocket. 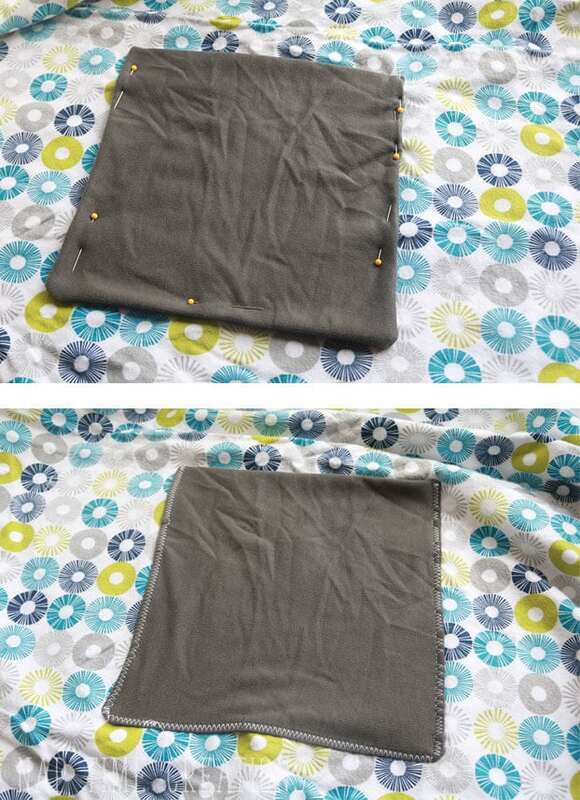 I folded my fabric so the pocket is a double layer. 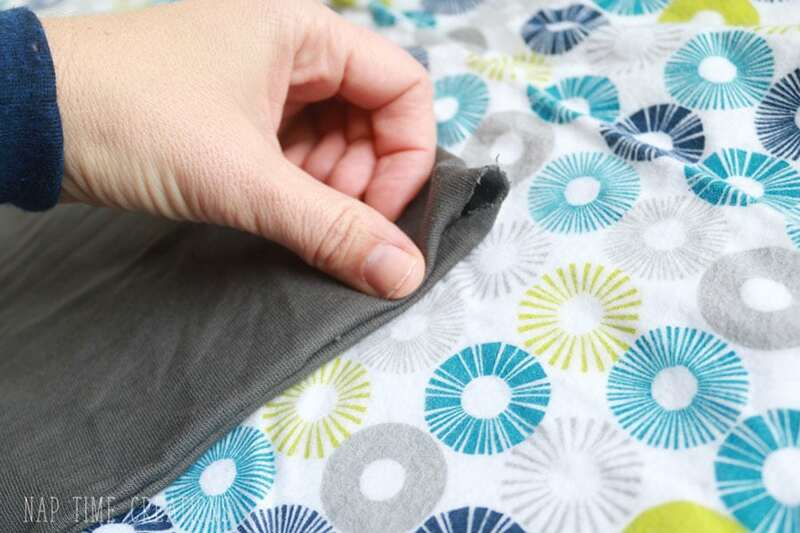 Sew the pocket edges with the right sides together. Leave a small opening to turn out. 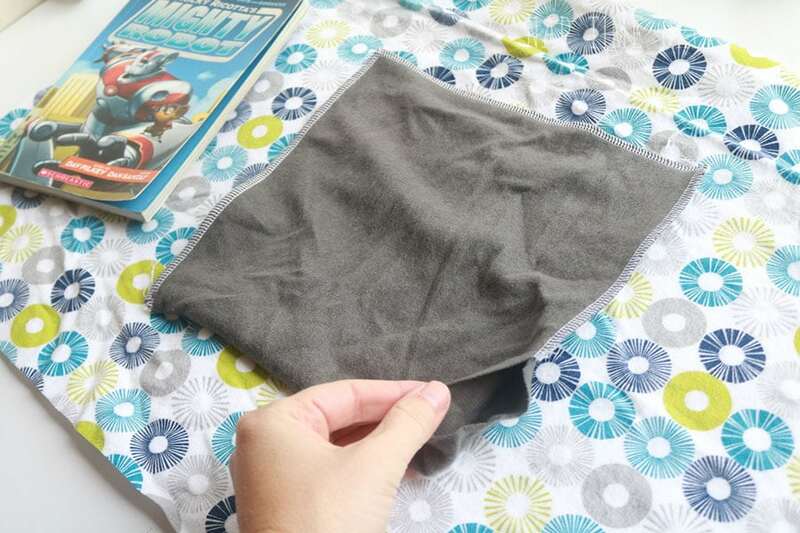 Turn the pocket and close the hole by folding in the edge. Pin. Pin the pocket in place and sew around the three sides. 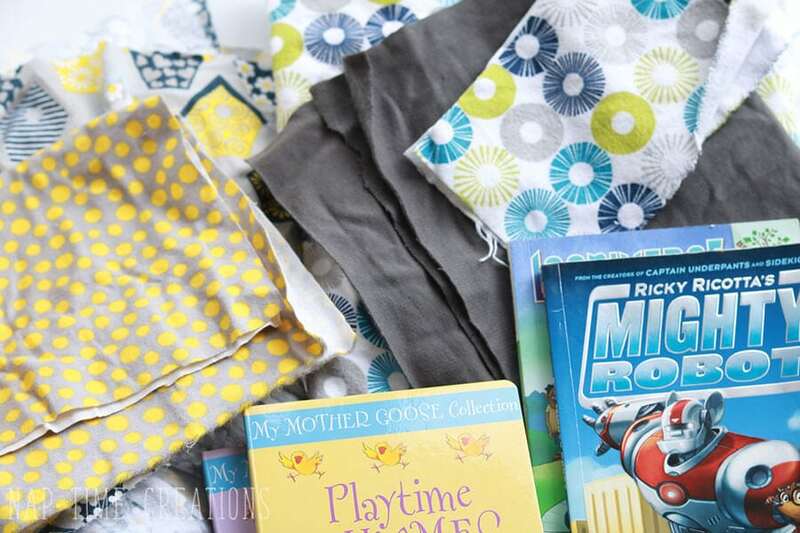 Finish the side and bottom of the fabric to finished the pillowcase, then add your books for reading pillow fun! For the smaller pillow I made it an envelope style. 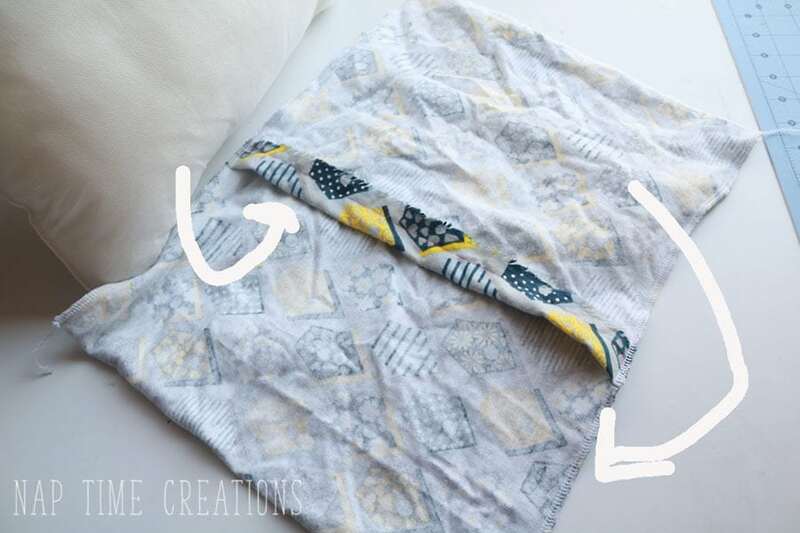 You can check out THIS tutorial if you need help with the pillow case base. 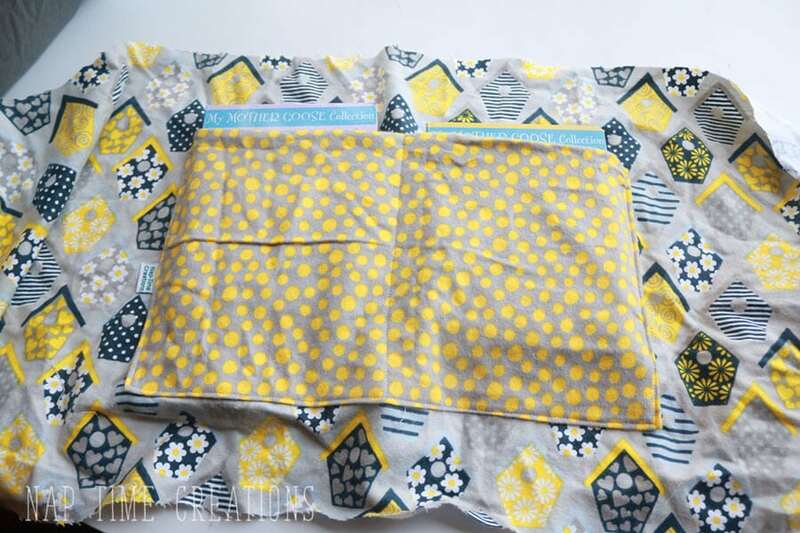 Before you do any sewing, find the center of the front and position your pocket. Sew the right sides together and turn as I did with the first pillow. This pocket is going to have two pockets so pin down the center as well. 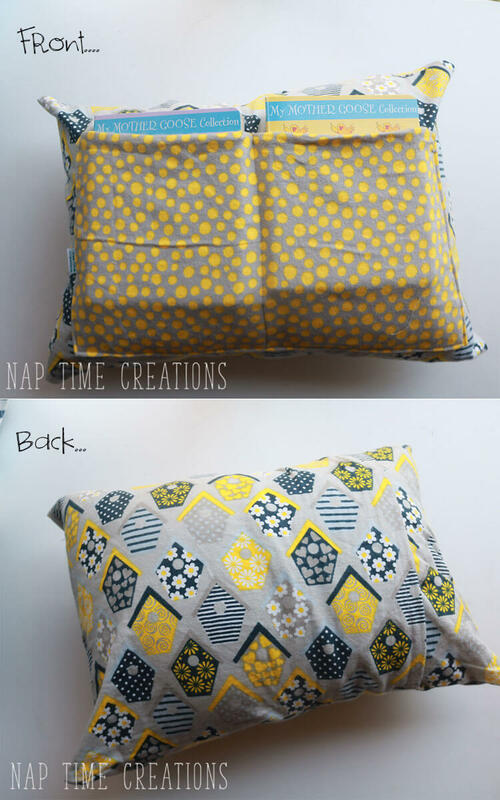 Sew the pocket to the open pillow case. 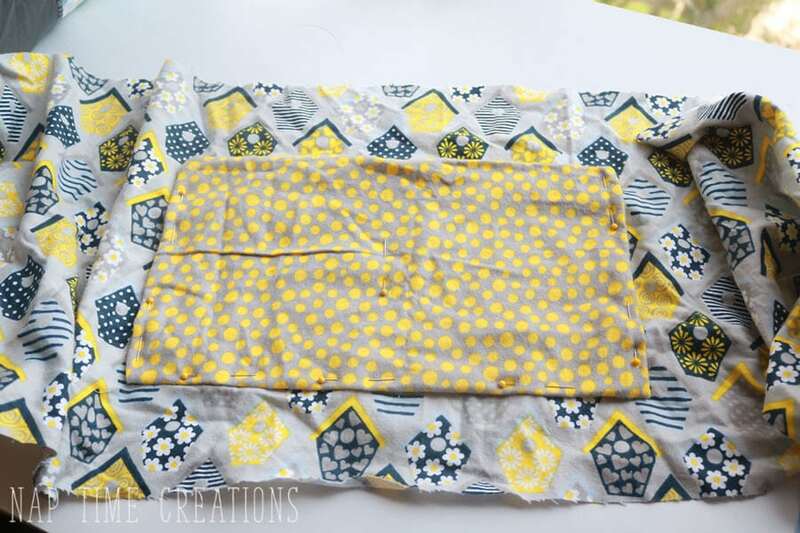 After the pocket is sewn on, fold the “envelope” closed and sew the sides. 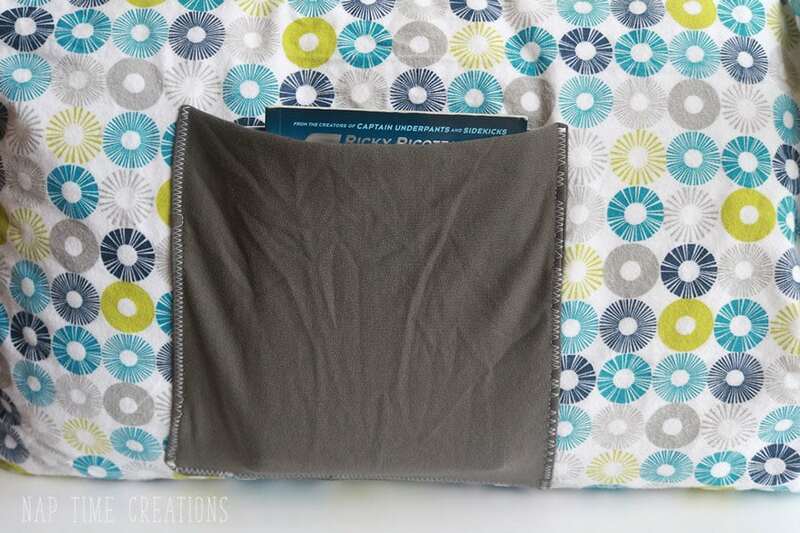 And here’s what the fun little DIY reading pillow looks like!! 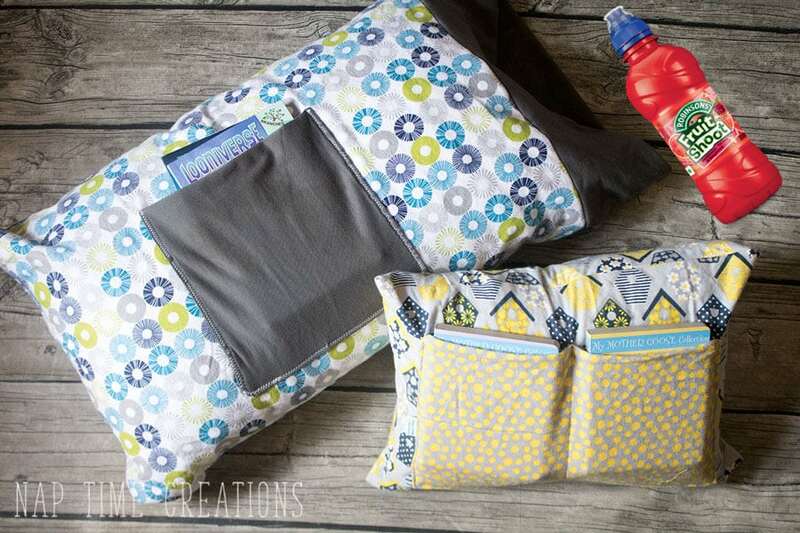 Perfect for reading, snuggling and sleeping! I love how both of these tuned out… Okay! We are ready to read and support literacy for other as well!! How about you? Ready to head out to Pizza Hut® and join the literacy project? What a great idea!! I love having books ready to be read next to the beds. Genius! Thanks for sharing with us at Share the Wealth Sundays! What a great reading pillow. I love this idea and I want to make one for my girl. Precious! 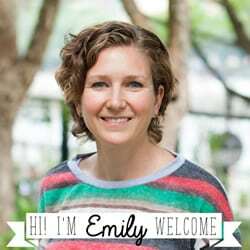 Thank you for sharing at Dishing it and Digging it link party. Thanks for sharing at Over the Moon. What a clever idea! Thanks for sharing with us at Funtastic Friday!